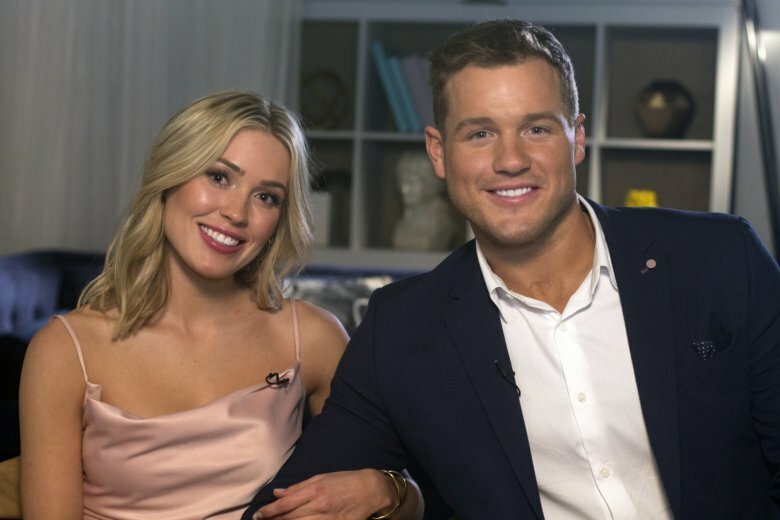 NEW YORK (AP) — This season of “The Bachelor” may have begun with 30 women competing for Colton Underwood’s heart but the season was turned upside down when front-runner Cassie Randolph bowed out of the competition as it was nearing its end. Suddenly the hunted became the hunter, with Underwood telling the other two remaining women they were out, and he was going to try to change Randolph’s mind. AP: What would you say to fans who might say they’ve been following this “virgin” story line the entire season and don’t think it’s fair you’re being quiet about it now? Randolph: That’s not why he really came into this thing. It wasn’t to lose his virginity, so it’s a little unfair for fans to say that, I think. I think it’s something that he shared openly with everyone and now it’s just_it was a little bit taken advantage of, so we’re closing that door. Underwood: That was my first fence jump. I will say adrenaline played a huge factor into that. I actually joke about it_I was like, “Man, I’ve trained 17 years for the NFL_forget that. I trained 17 years to jump that fence!” That was my shining moment, I guess. It was just one of those things were emotions were running high and I would do whatever to jump that fence. I’m just very glad I did it and didn’t fall on my (expletive). Underwood: Some pullups, some pushups_probably some squats to get a little lower body strength. And you got do some yoga too, because you gotta get those hips and legs over that fence.